The big picture: TOP500 has just released its list of the fastest supercomputers in the world, and, as revealed earlier this month, the US has beaten China for the first time in five years in the race for the number one position. It’s also good news for Nvidia, whose chips power five of the machines in the top seven. Following its debut at the Oak Ridge National Laboratory in Oak Ridge, Tennessee, we knew IBM’s 200-petaflop Summit supercomputer would see the US take the top spot from China on the TOP500, a position the country has held since 2013. Boasting 27,648 Volta Tensor Core GPUs and 9,216 CPUs within its 5,600 square feet of cabinet space, Nvidia said the machine could perform 200 quadrillion floating-point operations per second (FLOPS). It takes as much room as two tennis courts and requires as much power as a small town. 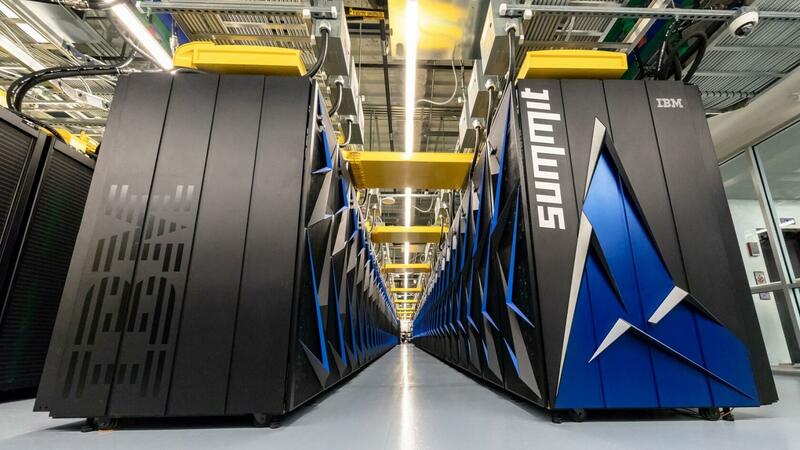 Summit moves ahead of the 93-petaflop Sunway TaihuLight to become the world’s fastest supercomputer after China’s machine held the title for two years. Another new US entry makes its way into the number 3 position. Sierra, which is used for nuclear weapons research at Lawrence Livermore National Laboratory in California, boasts a speed of 71.6 petaflops. It’s also powered by Nvidia components: 17,280 of its GPUs, to be precise. Nvidia’s chips are also found in ABCI, Japan’s fastest system that takes the number five position; Piz Daint, the fastest supercomputer in Europe at number six; and the US Energy Department’s Titan machine, which is at number seven. Moreover, Nvidia GPUs power the world’s fastest industrial supercomputer, Italy’s Eni HPC4, which is number 13 on the list. Additionally, Nvidia today announced the release of nine new GPU cloud computing containers to make it easier to work with deep learning frameworks. China might not top the list anymore, but it still has more machines in the top 500 than the US—and the gap is widening. The Asian nation now has 206 systems, up from the 201 it had last November. America, meanwhile, has seen its number of TOP500 supercomputers drop from 143 to 124.